My main motivation for painting is to express vibrant color. I see in my mind's eye, color that has a depth and intensity that is hard to reproduce in mere paints. Florals and still lifes are my main specialty. 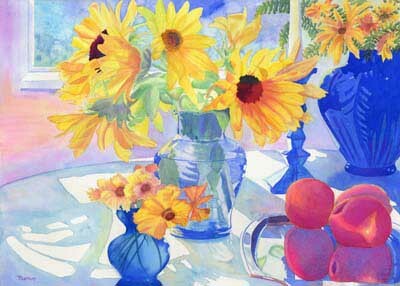 I especially enjoy painting sunflowers and iris.